Is It Risky to Enter My ID? 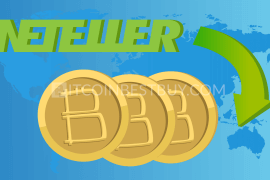 No matter if you are a bitcoin veteran or a beginner just who just heard about bitcoins, to buy bitcoin with credit or debit card is not difficult to master. 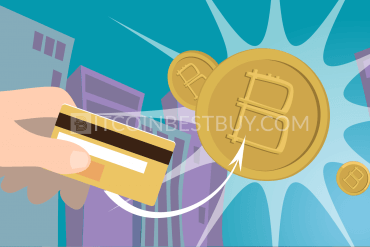 In this guide, we will show you how to buy bitcoin with credit or debit card and save you time and effort needed to grasp the concepts. 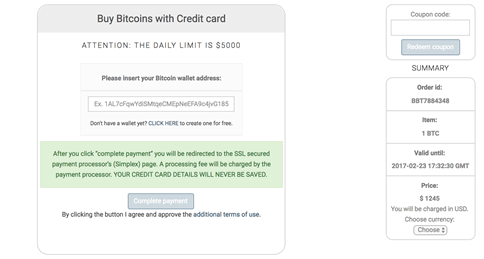 Be sure to use our referral in Coinbase exchange, as you will earn $10 of free bitcoin. Whether you are a veteran investor or a first-timer considering options around various markets, information about bitcoin could be confusing to analyze and digest. Bitcoin is not controlled by a single entity and it exists digitally only. Internet transactions have been on the rise in the recent years, and there is no reason to expect the trend to change in the following period. Visa, MasterCard, and Maestro cards are now equally part of our lives (if not even more) as cash is. 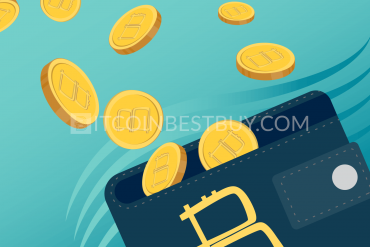 Purchasing of bitcoins with credit/debit card passes through similar stages that all other products go through. 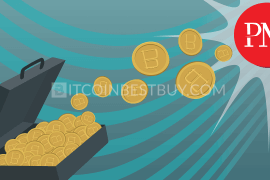 Various exchanges offer different markets that you need to consider when deciding where and how you wish to invest in bitcoins. 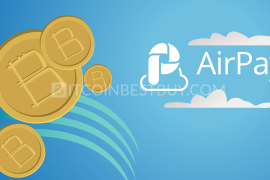 The crucial factors that would help you reach a decision on where to invest are transaction fees, security, and privacy offered by the exchange providers. 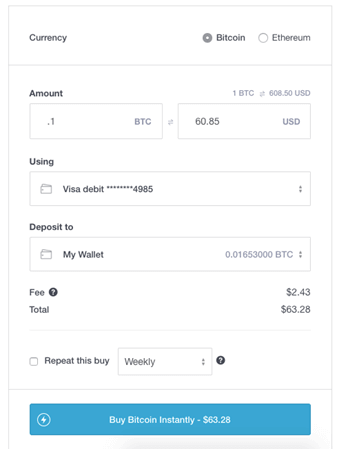 Considered one of the largest bitcoin providers, Coinbase offers credit/debit card purchases up to $150 and/or €150 per week (other currencies are also accepted), charging 3.99% fee for all purchases. 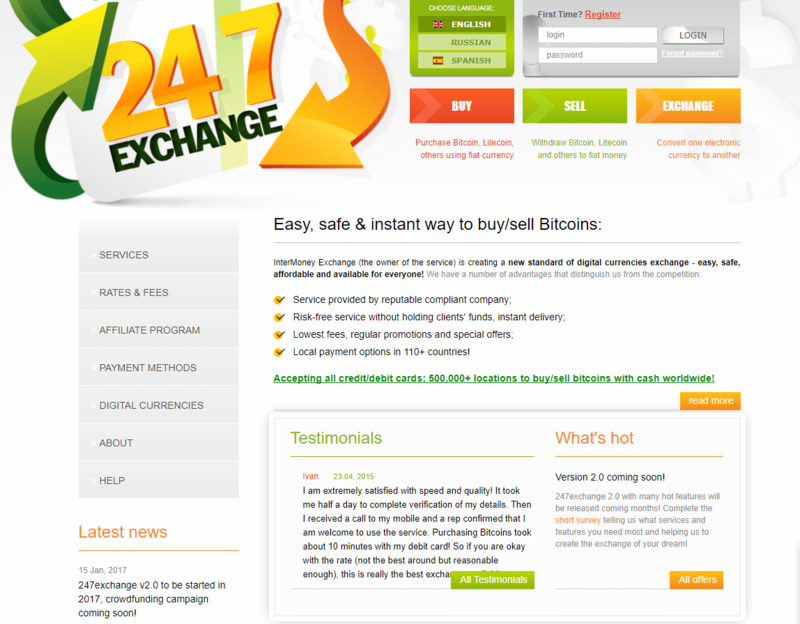 Its services are available in the United States, Canada, Europe, UK, Australia, and Singapore. bank transfers could last for 1-2 business days for SEPA transfer (Europe & UK), 3-5 days for wire transfer, instant in the US (ACH). 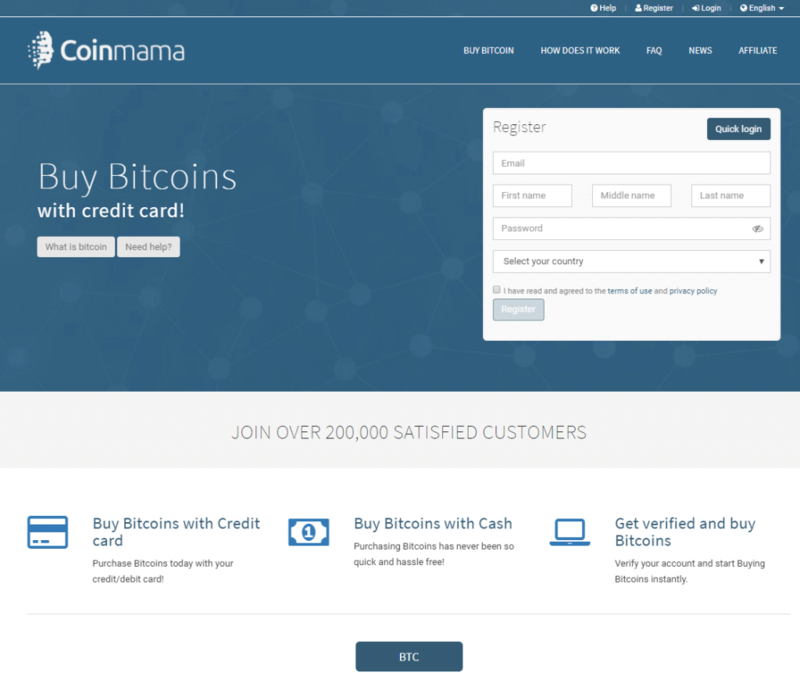 An exchanged specialized in credit or debit card transactions, Coinmama offers high purchasing limits but at a high cost as well. You are limited up to $5,000 daily and $20,000 monthly of bitcoin worth at 7% transaction fee. 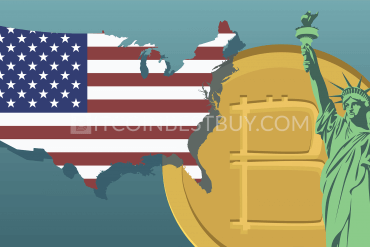 Coinmama is available globally though it is worthy to mention that some US states are not covered. 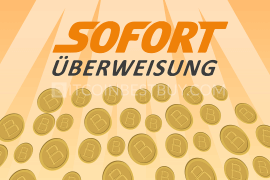 Based in Austria, this European exchange offers bitcoins purchase with credit or debit card at 3% to 4%. 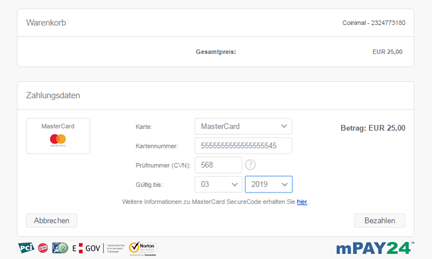 The purchase limits are set on the level of account verification, with email verification not granting you the buying rights, phone verification giving you €50 daily and ID verification securing €350 daily and €10,000 monthly. 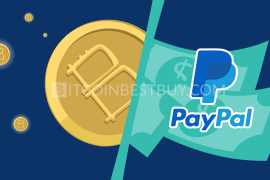 huge variety of payment options. 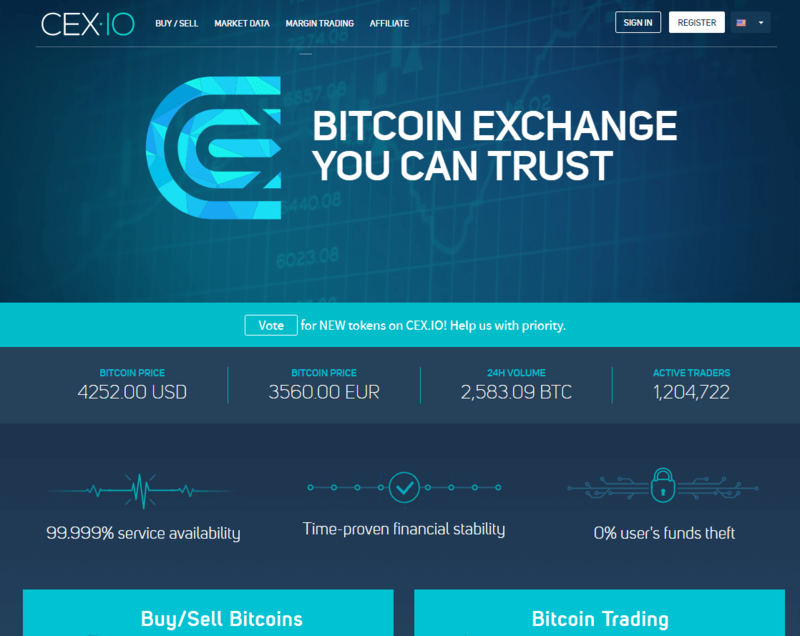 Another exchange that allows buying bitcoins with credit cards, CEX.io is one of the oldest bitcoin exchanges and is available in US, Europe and partially in South America. 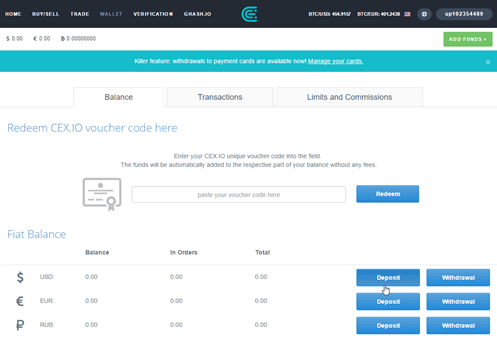 CEX.io offers $300 daily and $1,000 monthly purchase limits and with verification $10,000 daily and $100,000 monthly while the fees stand at 3.5% + $0.2. Although not directly engaged in bitcoin exchange, the VirWox offers payments via Second Life Lindens, a currency used in the virtual world, Second Life. With your credit/debit card, you could purchase the Lindens and then sell them for bitcoins through Skrill (the virtual credit card). 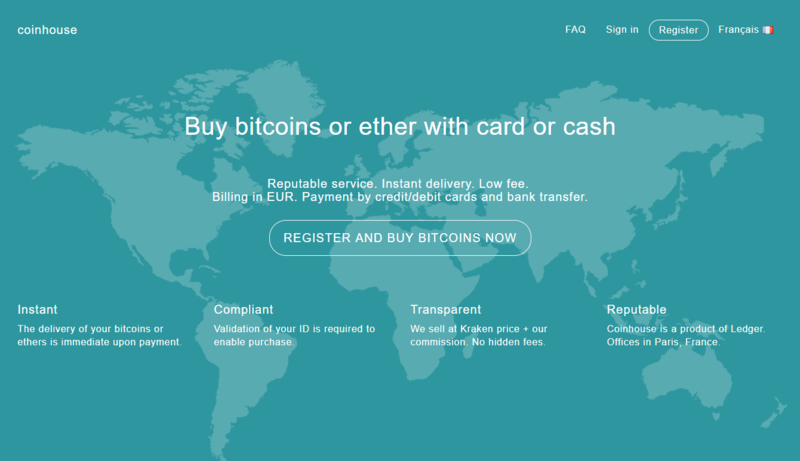 The fees consist of €0.39 + 3.5% of each purchase and service is available globally. Purchase limitations depend on the age of the account. limits low at the beginning. Established by bitcoin Embassy in France, Coinhouse is known for its unique 3D secured credit/debit card purchases and is available in Europe only. Depending on the purchase volume, the transaction fees vary between 6% and 10%. Depending on the verification level, purchase limits can go up €2,000 daily and €10,000 monthly. 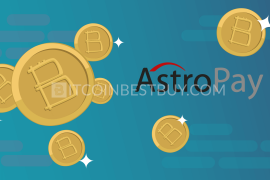 Bitstamp, although available in the UK, Slovenia, Germany, and Italy only, offers purchases in both USD and EUR and has recently opened credit card payment option for traders. The purchase limits are up to $300 daily and a $1500 weekly with the fee of 8%. 247Exchange offers credit/debit card purchases at 7% + $0.5 with limits set by the age of account, starting from $150 daily and $300 monthly and ends at $3,000 daily and $30,000 monthly after a month. The service is available globally except in the US. 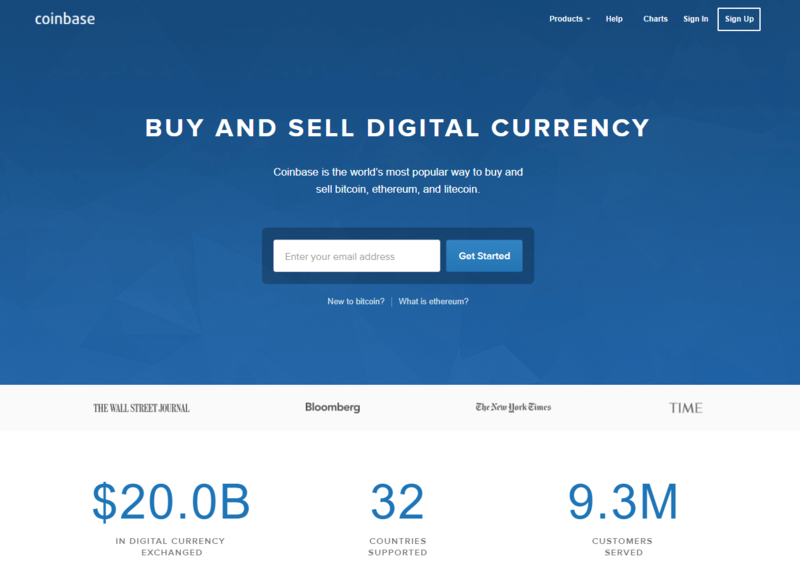 The bitcoin.com is not directly an exchange in terms of purchasing and selling bitcoins, but it is definitely a useful source of information as well as a link to other exchanges out there. 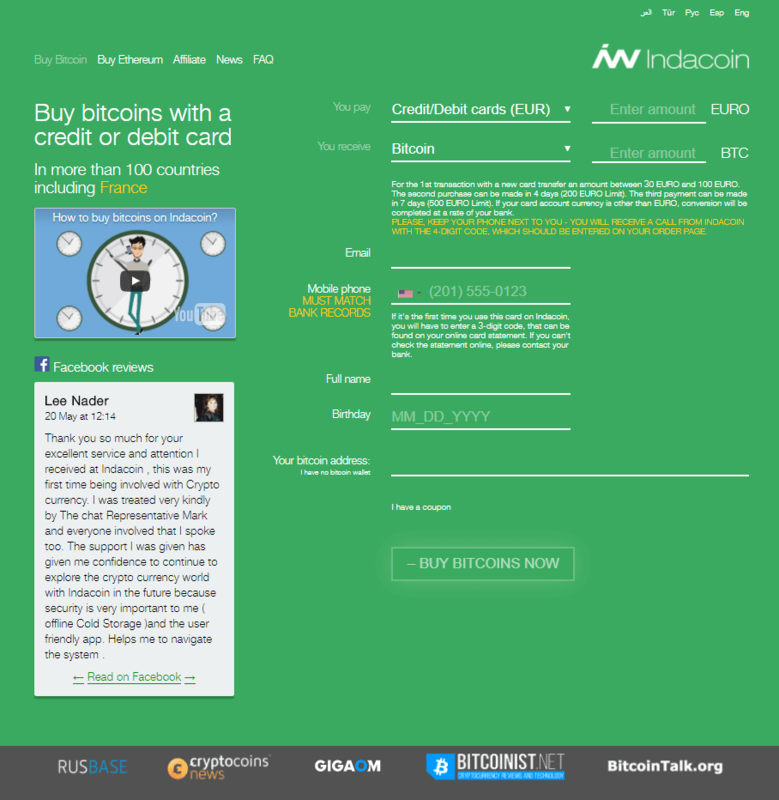 Based in the UK, the IndaCoin exchange offers bitcoin purchase with credit/debit cards (3D cards are also available) at 4% charge and scaled limits of purchase amounts. The limits are scaled by days, starting at $50 for the first purchase, to unlimited amounts available to purchase after 30 days. 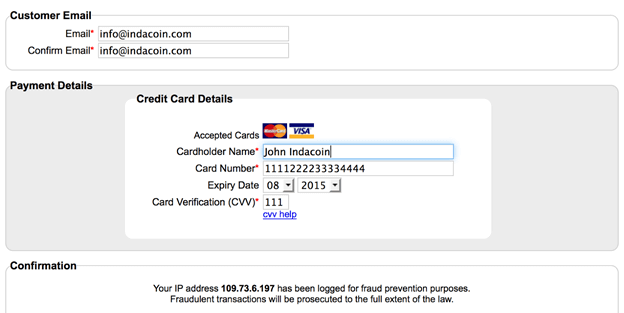 IndaCoin is available globally and requires no ID verification to actively trade bitcoins with bank cards. 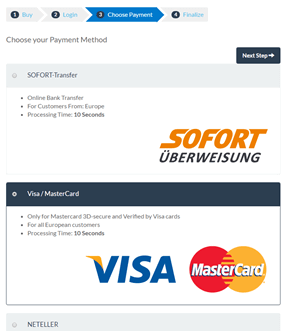 Located in Poland, the site offers credit/debit card purchases at the transaction fee of 5% with limits being 5,000 EUR or USD daily and 20,000 EUR or USD monthly. 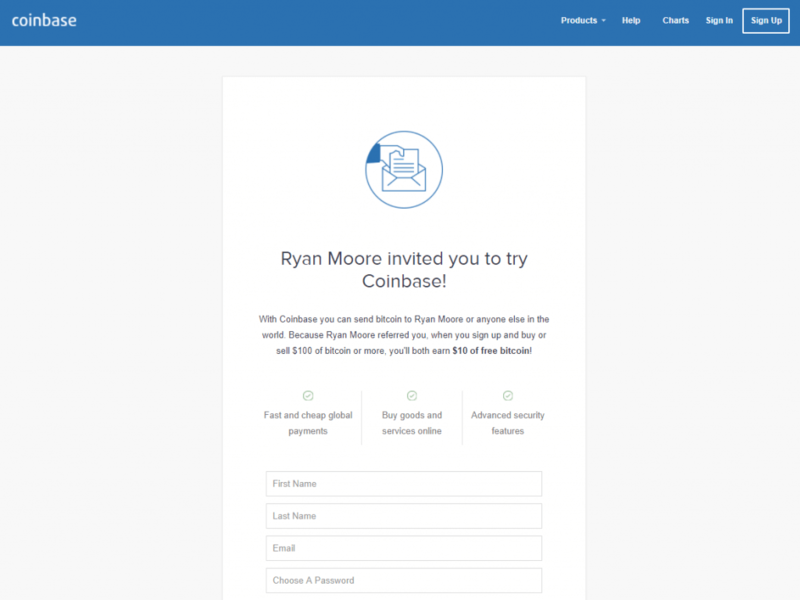 The first step would be to create an account at Coinbase’s sign-up page, fill out the details and verify your scanned ID. 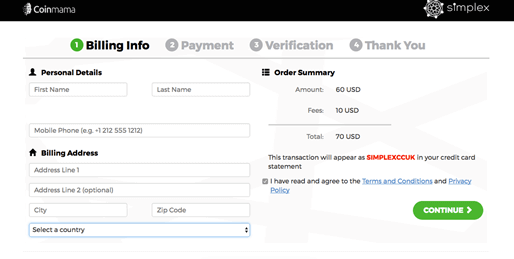 Once you have been verified, find your name on the top right corner and choose “Payment Methods” to add your credit/debit card by filling out the needed information for successful card verification. 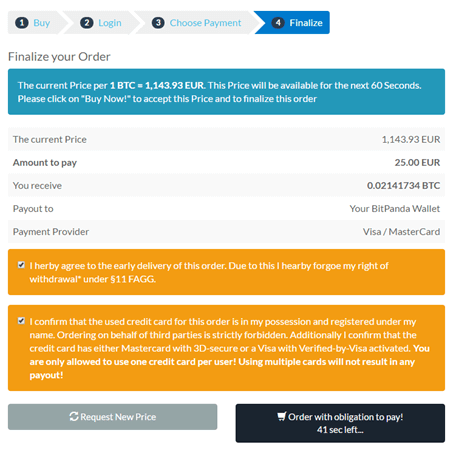 Once you have successfully added the credit/debit card, go to the buying page and enter the amount you wish to purchase and click “Buy bitcoin Instantly”. 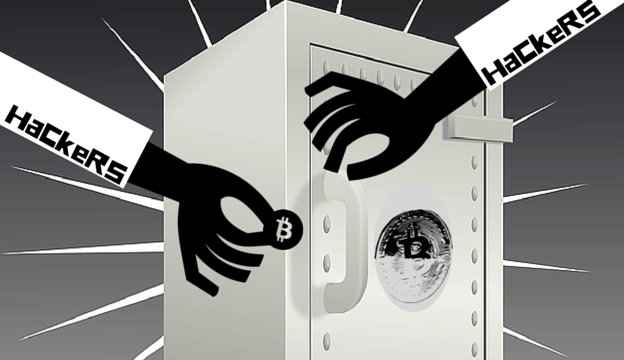 The bitcoins then would be deposited to your wallet as the transaction ends. On the top right menu list, click on “Card Manager” and fill out your credit card information and proceed to your ID verification. Now go to the “Buy/Sell” button and buy bitcoins at the amount you wish to gain. To start, you need to create your account in Coinhouse by providing your email address. Once email confirmed, you would need to verify your ID document and provide selfie picture with that ID. Additionally, you will be asked to provide utilization bill as a proof of your address. 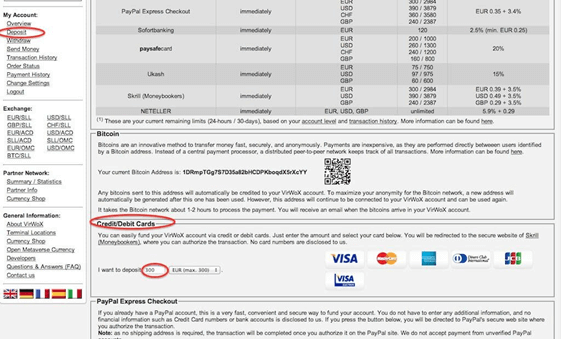 Your bitcoin wallet information is also a must in order to receive them. 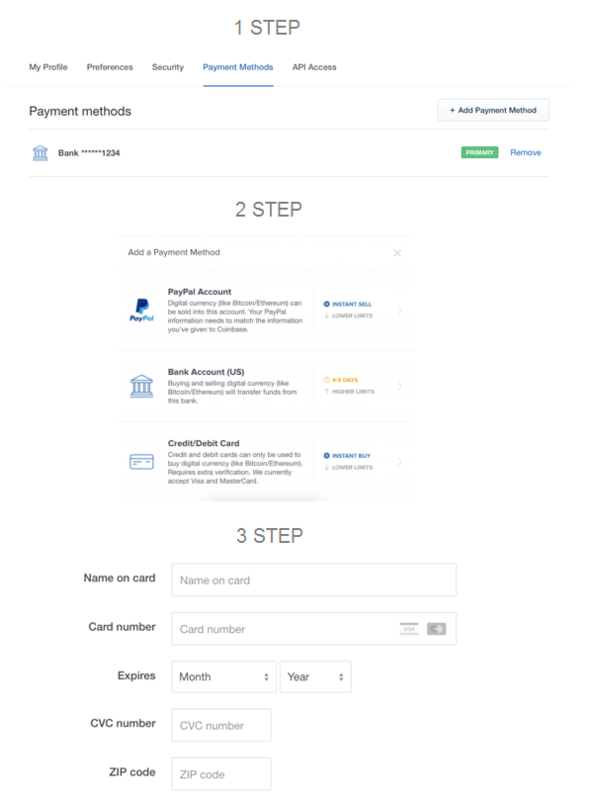 Next step would be to choose the payment method section and click on “Add Payment Method” and click on credit/debit card. 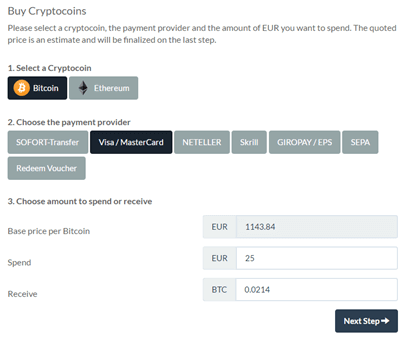 Fill out the details of your CC, and choose the value of bitcoins you wish to purchase. 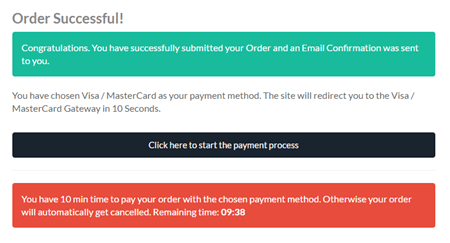 Once verified successfully, click “Click here to start the payment process” and wait for the email confirmation process to start. Once email checked, enter your credit card details through mPAY24 and press “Bezahlen” to complete your purchase process. First, you need to register yourself in Bitstamp and get your email verified. Your next step would be to choose credit/debit card method of deposit. 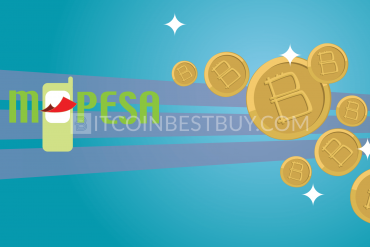 Enter your card details, the number of bitcoins to trade and finish the verification process for your purchase transaction to be completed. 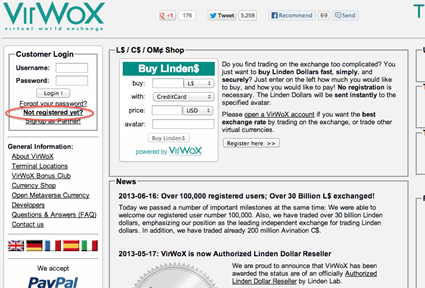 To start the purchase process in VirWox, click on “Not registered yet?” option and enter your username and email. Once logged in, go to “Deposit” and click “Credit Cards/Debit Cards” where you would enter the amount of money you want to deposit. 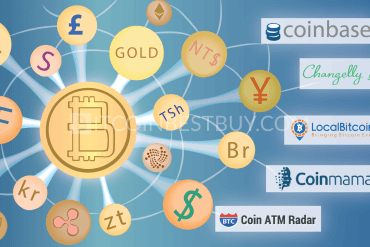 Now you need to purchase Second Life Lindens by clicking on “SLL/USD Exchange” and with the SLL amount, now you can purchase the wanted amount of bitcoins, finalizing the process. 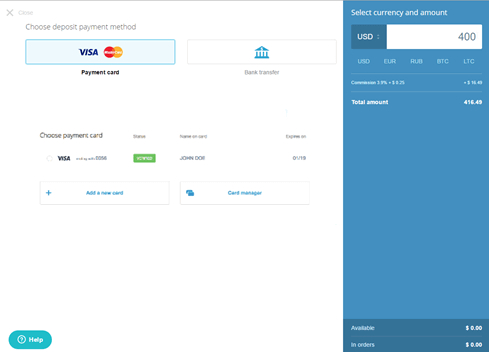 The first step would be to choose the CC payment method and amount in USD that you wish to exchange for bitcoins. 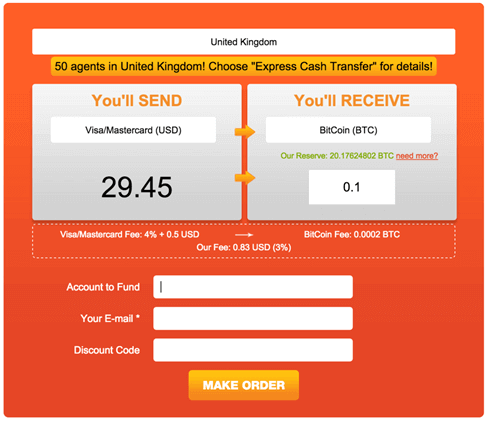 Provide your email and bitcoin address and then click “GO”. 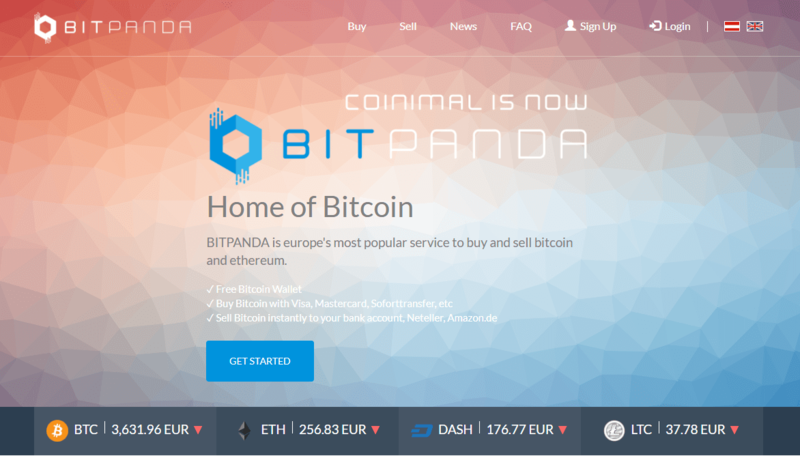 In this exchange, you need to click on “Buy” option and then fill out information in the purchase window (email, bitcoin amount and CC purchase method). In next step, you will be asked to verify your ID and phone number. 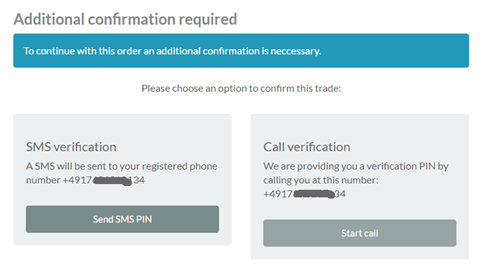 In next step, you need to enter your CC information and wait until the verification of your CC is complete. Once done, your transaction will be carried out automatically and bitcoins purchased would end up in your bitcoin address. 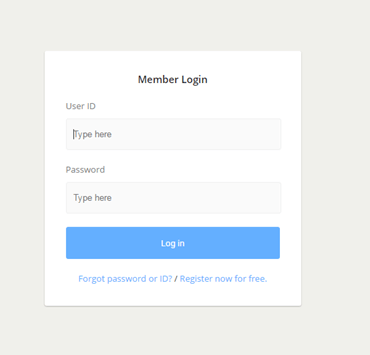 The first step that you need to take is clicking “Create an Account” button at the top of the website. Fill out the registration form and then click on the confirmation link sent to your email. Choose “Exchange” from unfolding menu and use Instant Buying option. As you purchase the bitcoins from the account directly, they will appear on the BitBay wallet and mark the transaction complete. Each of these methods varies in speed, safety, your location, and fees so be sure to compare them to each other to gain a clear picture of what is the best option for you at the moment. 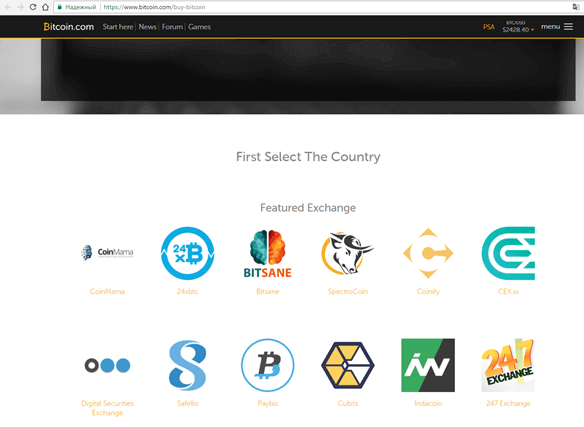 There is no best place to purchase BTC so list the exchanges out, see what do they offer and choose the most suitable one (or more) for you to trade with. You could use the template provided below and enlarge it for your own needs. There are also brokers who could ask for advance payment of both bitcoin value and fees without releasing bitcoins in return. Again, make sure you research the exchange well to avoid unpleasant situations. 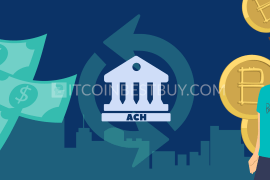 There are exchanges that offer the anonymous purchase of bitcoins without any sort of verification, apart from a credit card, but take into account that limits, in that case, are low in most exchanges. 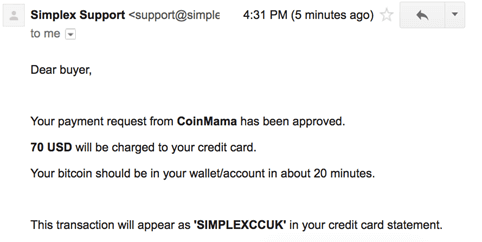 Coinmama, you could purchase bitcoins with CC/DC with a limit of $150 for the first time buy and $5,000 daily after. 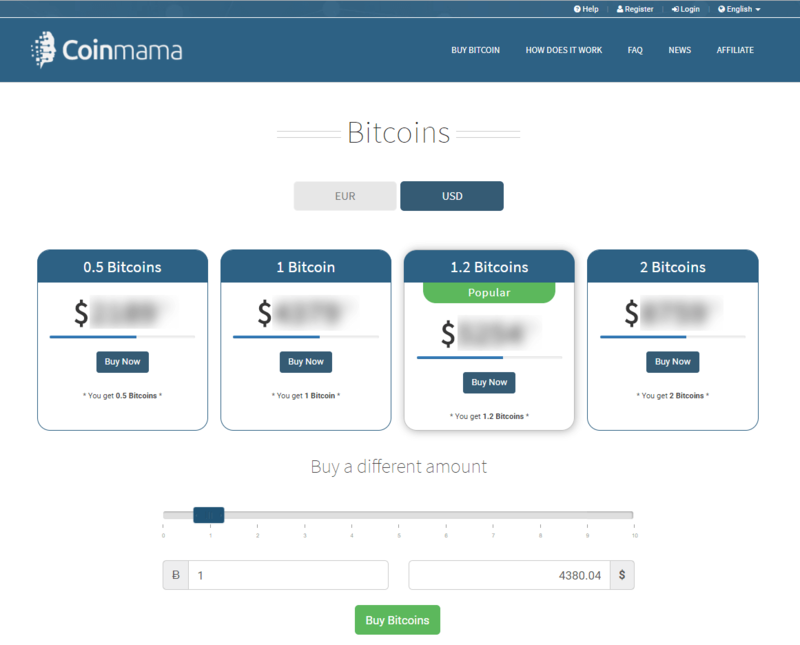 Coinmama is one of the rare cases of brokers who allow bitcoin purchase without the need for verification but the broker makes you pay for it – 7% fee. 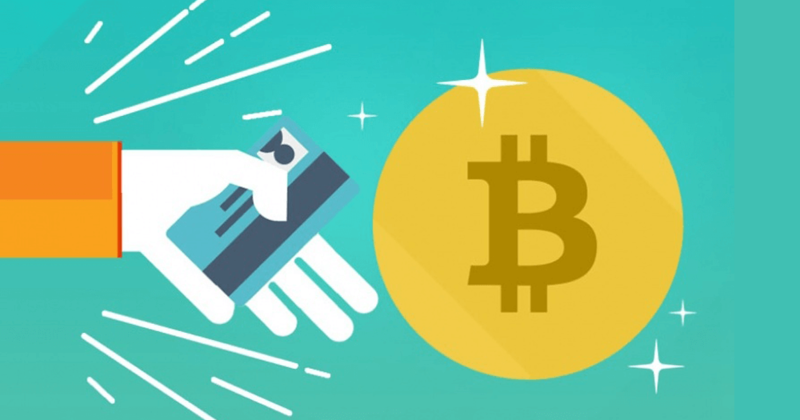 Most of the exchanges that specialize in credit card purchases would not accept the prepaid CC/DC method, so use LocalBitcoins if you would prefer that purchase method. 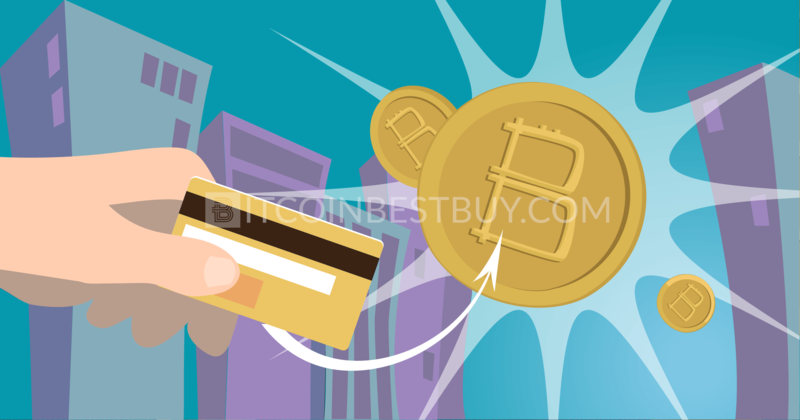 Yes, it is possible to purchase bitcoins with credit card in different exchanges at the same time. If you feel the limits are too small for you in one exchange, an example being CoinMama and $150 for a week, you could always go to Coinbase, open your account there and gain additional bitcoin in the value of $150. The exchange brokers also face risks when selling their bitcoins to you. 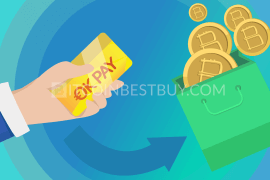 Namely, the payments through credit/debit card could be reversed by you, while merchant cannot reverse the bitcoin transaction. 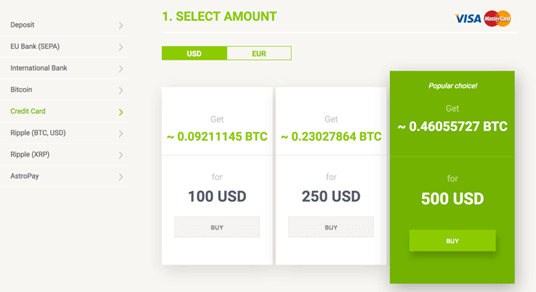 Result: you take your money back and gain bitcoins for free, while merchant loses bitcoins. 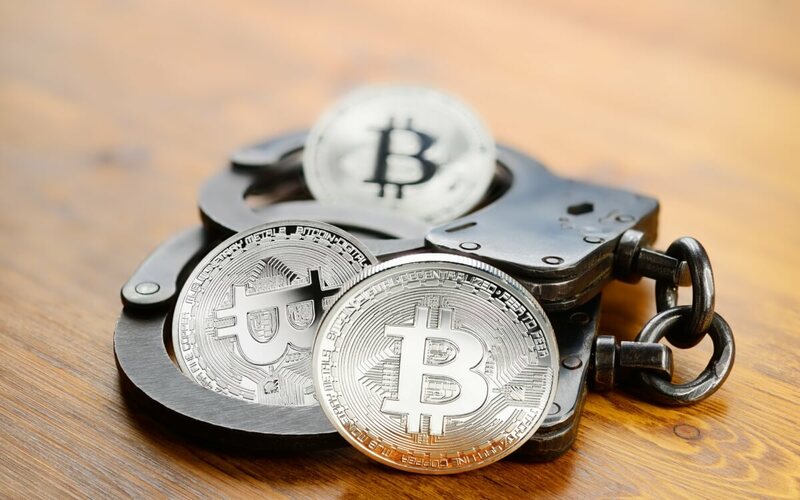 That is why merchants are always on the lookout for frauds, creating complex verification processes to ensure you don’t run away with both money and bitcoins. Some other brokers might not offer payments through CC/DC at all while others would impose severe limitations and other constraints on your purchases for the same reason. 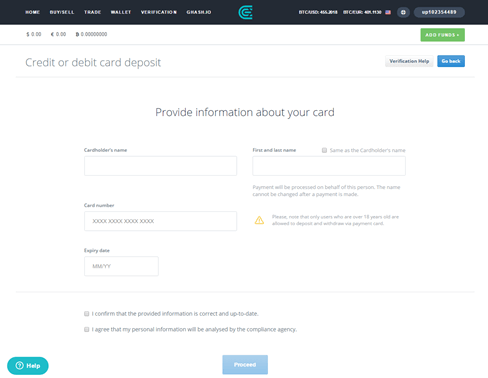 Yes, as some exchanges do offer the CC payments without the card verification like Bitit.io though they are rare. Also, take great care as there is a chance a scam might be involved, so make sure you properly research a broker before attempting any purchasing activities with the said exchange. As the bitcoin exchanges have a history of bitcoin attacks, they have raised the defense systems considerably in the last few years. Again, watch for the reputation and what bitcoin community thinks of the broker at the moment to be sure. 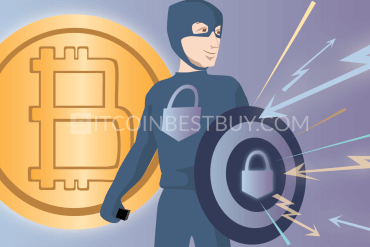 The BTC exchanges could use your credit card details to make purchases without your knowledge and withdraw all your funds against your will. 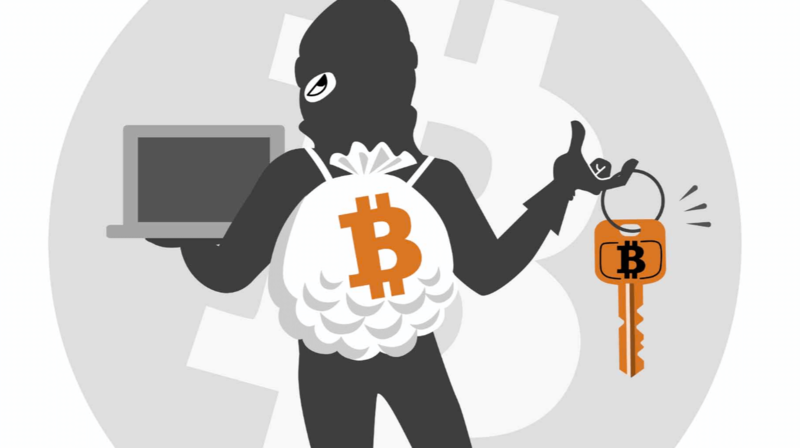 Frauds could also be of external nature, such as the hackers attack and theft of bitcoins stored in Exchange’s wallets. Finally, the bitcoin price is not centralized, thus the pricing depends on the exchange itself. Research the price in other brokers, so you don’t pay above the price beyond what is reasonable.